Custom Staircases: Let us design your work of art. What does custom mean to you? The word “custom” is used to define a superior product, made-to-order and tailored to a customer’s exact specifications. Why is this important in terms of staircase design? It’s simple. Custom stairs serve as much more than a functional element of a home. They are a work of art, a conversation piece. Like a unique piece of furniture, a staircase sets the style of a residence. Do the staircases in your homes speak luxury and superior aesthetic quality? 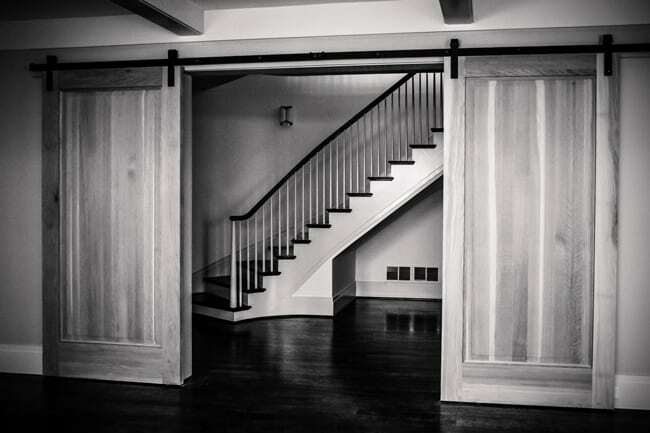 From inspiration to installation, our team delivers custom stairs built to meet each client’s needs and vision. 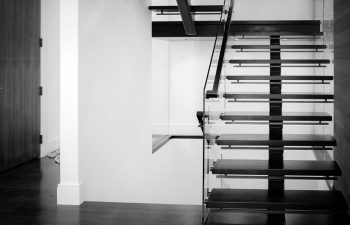 A custom staircase adds the perfect element to an interior residential space, and we are proud to partner with architects, builders and contractors across the country to design and construct luxury, custom staircases. What is the custom staircase design process? Start with the architectural plans. Given the space and layout of the residential space, what types of custom stairs should be considered? Should a winding spiral be designed to maximize space? Would a flared stair add luxury and grandeur to the open foyer? Will custom straight stairs take the residential design to a new level? In this first phase, our team will work with you to discuss the custom staircase design options for your space. Next is inspiration. What unique style do we aim to capture in this project? Whether you have a specific concept in mind or want to explore ideas with our creative design team, we will work to bring your vision to life. Drawings are provided for your approval. To ensure flawless installation and a perfect fit, our team provides each client with advanced custom stair CAD drawings. Custom stairs are built in our state-of-the-art facility, leveraging leading staircase technology and our extensive capabilities. Project is completed with stair installation. Through our turnkey installation process, we do all the work, resulting in timely delivery and outstanding quality. Our team specializes in the design and delivery of premium custom staircases. For a more detailed walkthrough of the custom staircase design, construction and installation process for customers, check out our recent posts, Custom Stairs Design: How Do We Do It? Part 1 and Part 2. Visit our residential and commercial project galleries for additional details and pictures on our exquisite projects. From inspiration to installation our team is committed to designing and building the highest quality custom staircases. Our reputation speaks for itself and client satisfaction is our highest priority. Contact us today to discuss your next custom stairs project.